A good enough motherboard for me. This was the toughest choice of the build, but I decided to leave myself open to the possibility of getting a second 980ti in the future. I've had no problems at all with it and I haven't been left wishing I had any other features. Good looking board. I didn't need something flashy looking with a bunch of LEDs, and this matte black finish looks amazing. Unfortunately, I did have to RMA my brand new board. The refurbished one does its job so far. This is an amazing budget Z170 board. It lacks the bells and gimmicks like gaming LAN and bundled software that I find useless, but it overclocks RAM and CPU like a champ. Read the reviews on this if you don't believe me. This thing is a steal especially if you catch it on sale. If you need a ton of USB ports I would avoid, other than that save some dough and put it towards other parts. 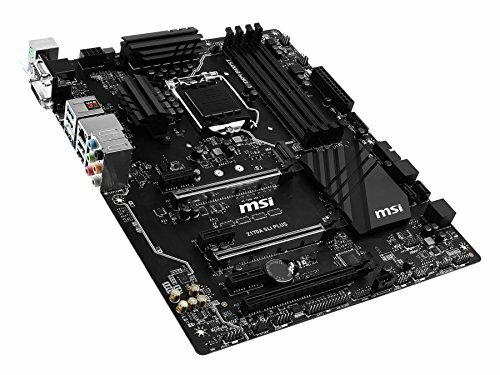 Really sturdy and simple MOBO. Perfect for an all black build! Nothing flashy here, I just wanted something without any red LEDs or accents - which is a lot harder to find than one would think. It helps the blue features stand out really nicely, and there is plenty of space for a second card. The bios looks nice - I will update this section when I have a stable OC and have had more time to poke around it. 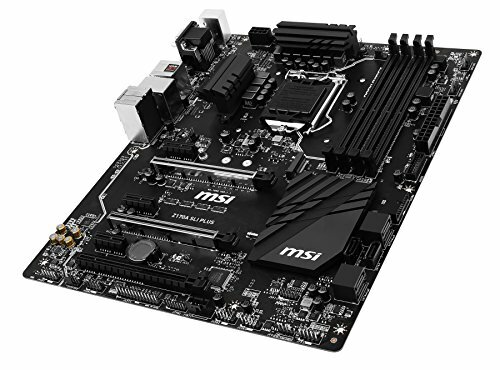 Pretty cheap for a Z170A motherboard, has everything you will ever need when building a gaming rig. Color neutral (all black), so you could have fun pimping your rig however you like it without worrying it would ruin your preferred ambient color. Downside is there are only 2 full PCI e slot, so no 3 way SLI or crossfire possible. Well I never like the idea of SLI or crossfire, so it doesn't bother me in any way. A sleek looking blacked out mother board. Plenty of room for expansion but I haven't found reason to completely fill the RAM and PCI slots other than to showboat, which I cannot currently afford. Works perfectly, everything fit as intended. 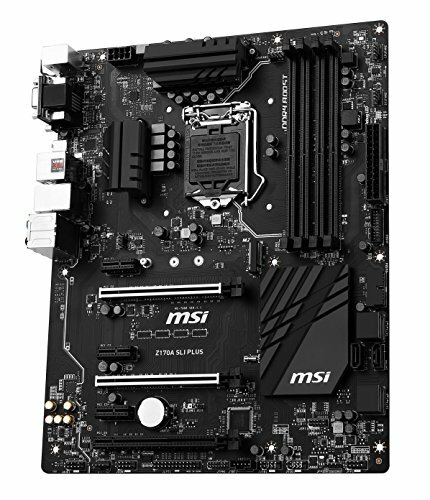 fantastic motherboard for the price and a nice matte black finish. Has a great layout and all the features you expect. Also has a great and easy to understand bios, i just wish it supported sata m.2 and had built in wifi.